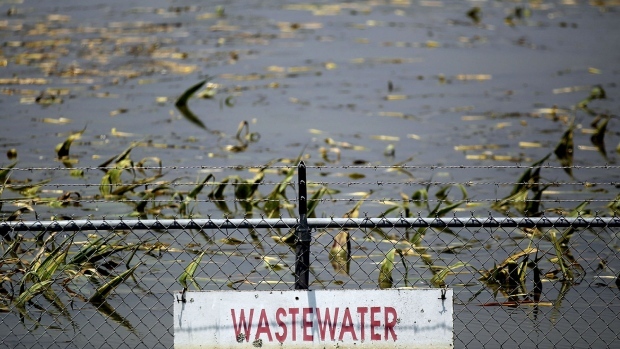 (Bloomberg) -- The U.S. Supreme Court will consider limiting the reach of the Clean Water Act, agreeing to hear a case from Hawaii centering on treated wastewater that ends up in the Pacific Ocean. At issue is whether a federal permit is required to discharge pollution that travels under ground before emerging in an ocean, river or other major waterway. Lower courts are divided on the issue. In the Hawaiian case, a federal appeals court said Maui County needs a permit to continue disposing of water through underground wells at a treatment facility. Environmental groups led by the Hawaii Wildlife Fund sued the county in 2012, saying decades of discharges from the facility have devastated once-pristine coral reefs. The facility, three miles north of the town of Lahaina, releases 3 million to 5 million gallons of treated water a day into four long pipes, known as injection control wells. The water then travels about 200 feet into a groundwater aquifer beneath the facility. A federal-state study using dye showed that much of the water makes its way to the Pacific through small fissures in the ocean floor. Maui County and its supporters say the Clean Water Act requires a federal permit only when a plant or other “point source” discharges pollution directly into a waterway. The county says state regulators have primary responsibility when material first travels through groundwater. The Trump administration joined the county in urging the Supreme Court to hear the appeal. The two sides in the case have agreed to a settlement that would take effect if the environmental groups win the lawsuit. Under the accord, the county would pay a $100,000 fine and construct a system to divert wastewater from the wells for reuse in the community. The court will hear arguments and rule in the nine-month term that starts in October. The case is County of Maui v. Hawaii Wildlife Fund, 18-260.